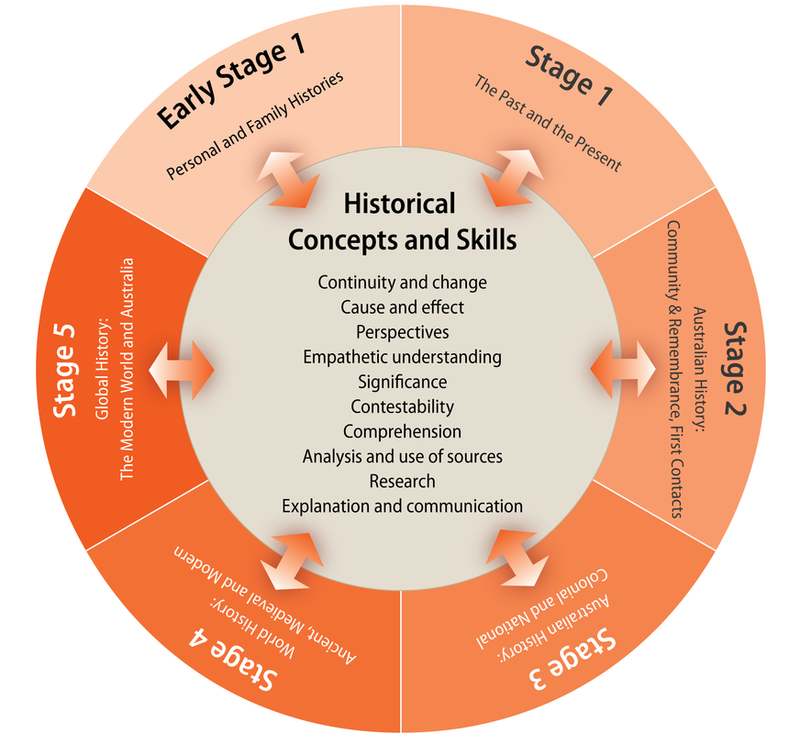 By the end of Stage 1, students identify change and continuity in family and daily life using appropriate historical terms. They relate stories about their families' and communities' past and explore a point of view within an historical context. They identify and describe significant people, events, places and sites in the local community over time. Students describe the effects of changing technology on people's lives over time. Students sequence events in order, using a range of terms related to time. They pose questions about the past and use sources provided (such as physical, visual, oral) to answer these questions. They compare objects from the past and present. Students develop a narrative about the past using a range of texts. 'Feeding the family' is designed to inspire young students to engage in historical inquiry, and to cultivate their historical literacy and skills.